‘Jessica Jones’ Season 3 Air Date: Is Hellcat Going to be the Main Antagonist for Third Installment? ‘Boruto’ Chapter 35 Release Date, Spoilers: Kawaki to Inherit Kurama? Naruto’s Successor? ‘Dragon Ball Super’ Chapter 48 Release Date: Is Piccolo Going to be Fighting During This Arc? “This Is Us” season 3 episode 11 officially returns after the midseason break and it dropped the bomb. Finally, Jack’s (Milo Ventimiglia) most-kept secret is out and The Big Three was the first to know about their father’s whole story while he was in Vietnam, during the war, with his brother Nicky Pearson (Michael Angarano). In the midseason finale that aired on Nov. 27, 2018, the wish to search for Nicky has started after Kevin discovered that his uncle is alive and he is living in Pennsylvania. He wants to see him so they can get some answers and get to know why their father had this secret from them all his life. 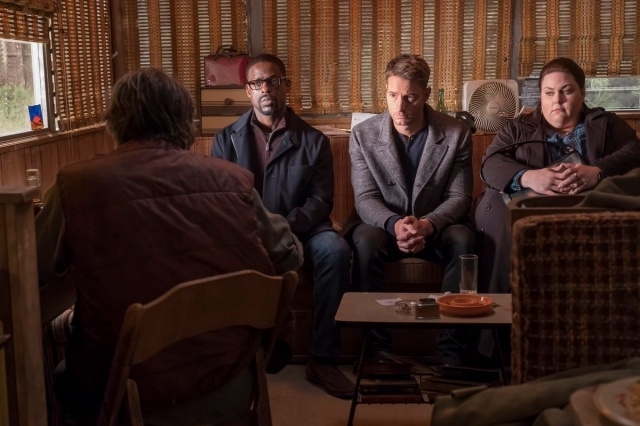 “This Is Us” season 3 episode 11 was titled ‘Songbird Road: Part Two’ and since its synopsis is not out yet, it can be assumed that this will only continue the story after The Big Three traveled far to see their long-lost uncle Nicky. He narrated the story about Jack when they were still in Vietnam and disclosed why their relationship turned sour. Jack, the older of the two brothers, was originally protective of his younger sibling but he totally cut-off communications with him after the incident that changed their lives. In “This Is Us” season 3 episode 11, Kevin, Randall and Kate learned that a Vietnamese boy that their father saved during the war has died and it appears that he was blamed for the incident. It was shown in “This Is Us” season 3 episode 11, that Nicky still feels guilty up to the present day and even more so because he was not able to tell his brother about the truth - that the child’s death was accidental and not intentional. Apparently, he was held accountable because he was with the boy when the grenade exploded in the boat they were riding in. Initially, Nicky was thought to have died in that blast. It was believed that he set out on a boat with explosives and perished when it exploded. But according to the story revealed in “This Is Us” season 3 episode 11, he survived because he was able to get out of the watercraft before it blew up. The shocking thing is that Jack knew all along that Nicky is alive but he did not let anyone know about it. He even kept it from his wife Rebecca (Mandy Moore) and she also found out the truth just now, years after her husband passed away. Now, The Big Three has to tell their mother about what really happened to their dad in Vietnam and this scene is expected to take place in “This Is Us” season 3 episode 11. Meanwhile, fans should watch “This Is Us” season 3 episode 11 “Part Two” on Jan. 29 because as hinted on part one’s ending, The Big Three returned back to their uncle’s home just as they were leaving for home. It appears that uncle Nicky is coming home with them to meet the rest of the family.